This distributed with this technology of network audio system is the first that Meyer Sound installed in a space for sport and multipurpose. 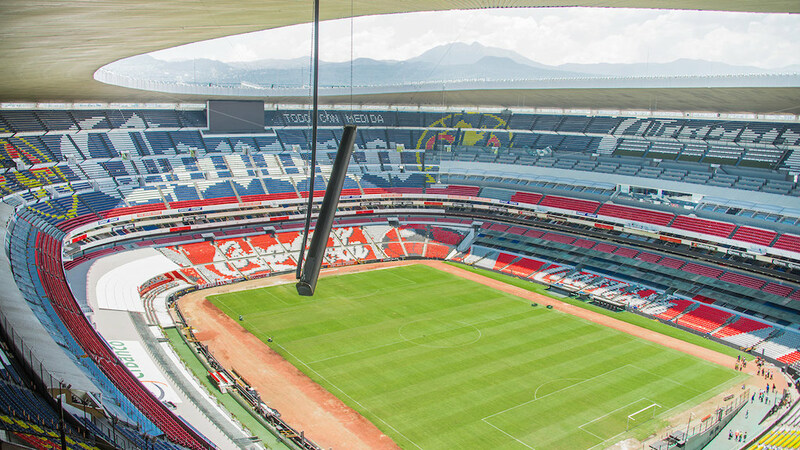 First stage in organizing two end of the World Cup--in 1970 and 1986-, and at headquarters of the first Olympic Games in Latin America (1966), the Estadio Azteca of the city of Mexico amount to these milestones being the sports facility located at higher altitudes (2,195 meters) and higher capacity (87,000 individuals) of Latin America. To this list of distinctions joined earlier this year completed the largest installation to date column speakers Meyer Sound CAL. 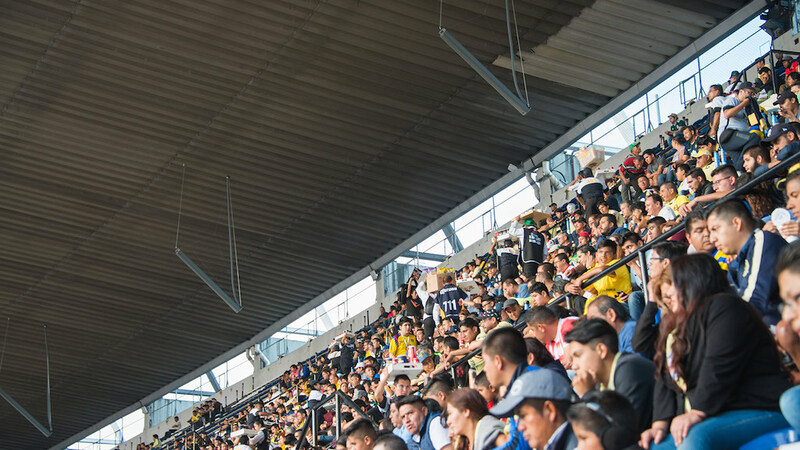 In addition, it's the first audio system from this manufacturer installed in a stadium that utilizes the latest network AVB/TSN technology. The distributed system, composed of 69 speakers, emits all the bandwidth for voice with clarity and intelligibility, music listings, as well as and the audio of the videos projected on Panasonic digital screens located in the enclosure. The addressing of the lime technology allowed Meyer Sound engineers fine-tune the extension and tilt of the projected audio, and thus to achieve uniform coverage, while narrow CAL speaker profile keeps the lines of open vision. 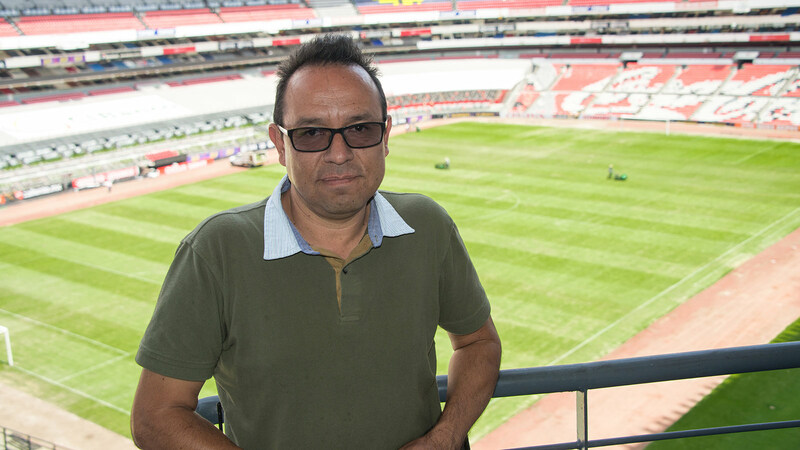 "We contacted Meyer Sound to this new system because they offered us the best solution - remember the Manager of audio of the Estadio Azteca, Alejandro Aguirre (in the attached picture)-. We needed the latest in audio technology, and lime with AVB system met all of our requirements." For the lower tiers have been deployed 24 CAL 64 speakers, together with 10 subwoofer of 600-HP, while the upper ones are covered by 26 CAL 96 and eight speakers CAL 64, with an additional 96 CAL that covers the playing surface. Two network Galaxy 816 processors control the general system, and two RMServers in the network are responsible for the supervision of the State and problem solving. The Galaxy 816 are connected to the master switch, located in the control room of the stadium, through AVB/TSN, with bi-directional signals routed through a fiber optic network from the room to the eleven local switches, distributed around the stadium . Each local switch is connected to their assigned group of speakers CAL through Cat-5e cable. All switches are Extreme Networks X 440-G2 series. As explained Aguirre, "the stadium hosts a variety of events besides football: concerts, religious events and the annual NFL games." It was essential that we had intelligible audio at every seat, with power and clarity necessary to provide a complete experience of viewing and listening together with HD screens; that hemor solved with Meyer Sound". This directive recognizes that the solution depended on, as well as technological innovation, design and support. "Meyer Sound team studied every detail; they made sure that the right people were involved in the project and advised us on every step. There is a level of commitment that differentiates them from other companies in this industry."